Confession time: I'm a planner. Let's be real though, you already knew that... with my vacation to do lists that happen months in advance, weekly menus and grocery lists, and the crazy amount of planning that I put into moving, preparing our home for a puppy, and starting a college fund (for the kids we don't have), planning is just ingrained in me. If there is anything that I can find to make life a little easier and to feed my need for planning I will give it a try. So, when I was asked to try out the Reserve App I was more than happy to test drive this app that makes dining out seamless from reservation through payment. Reserve is a free app available for iPhone and Android phones that allows you to search for the best restaurants in your city (it's currently available in New York City, Los Angeles, Boston, San Francisco, and Chicago), select a restaurant, the date and time window you'd like to dine there, and send in your request. Your Reserve concierge then sends you a text confirming your reservation time and you're good to go. What makes this app unique from other restaurant reservation services though, is that you actually pay for your meal (including tip!) right within the app with the credit card you have on file. When we finished our meal at Formento's, the server never brought over a bill-- I just received an email from Reserve with the receipt and payment confirmation and we were on our way. 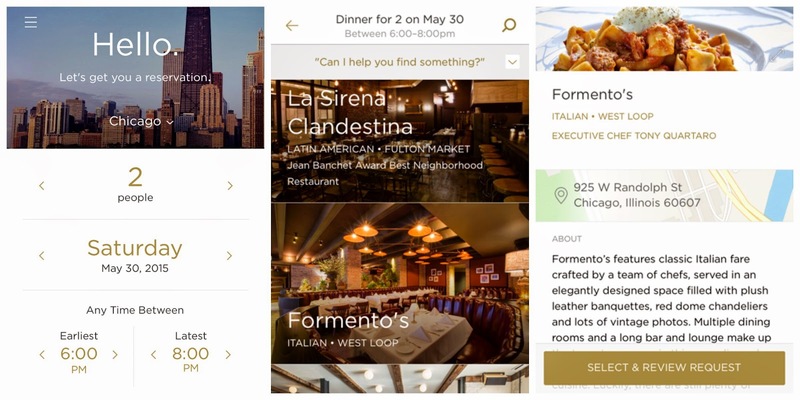 Think of it as Uber for dining. Want to try Reserve for yourself? Download it in the App Store and enter promo code LYCOXB in the Payment section of the app to receive a $20 credit to use toward your first Reserve reservation! So, that's how we ended up at Formento's in the West Loop. Now let's talk about our delicious meal! 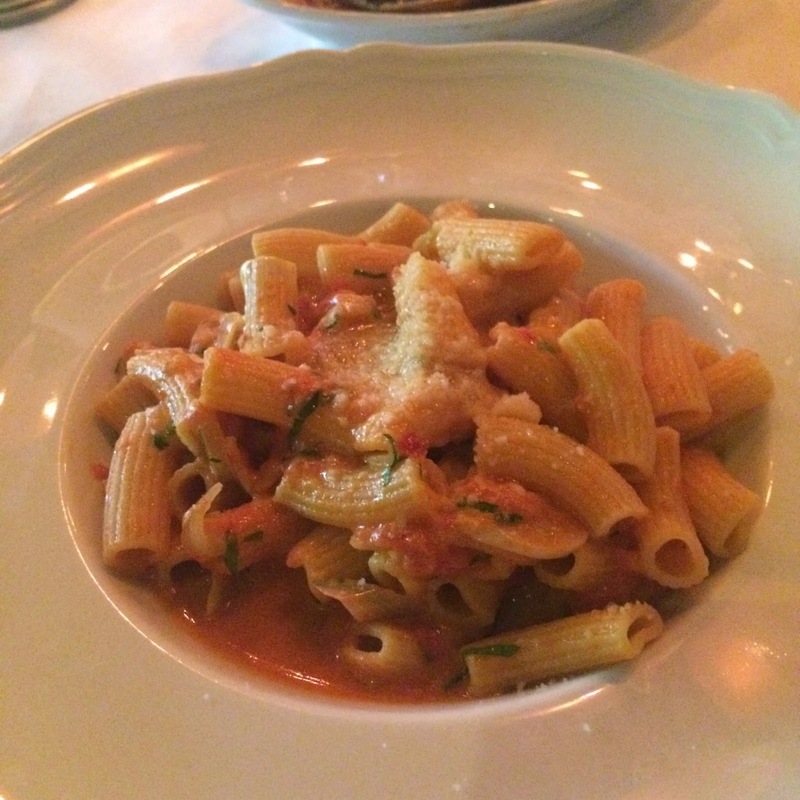 Formento's is a self-described "red sauce joint," reminiscent of the Italian restaurants of the 1950's. We're not talking about rustic Tuscan-inspired dishes here, but rather modern takes on the dishes your Italian grandmother would have made for Sunday dinner: meatballs, "macaroni" and sauce, and eggplant parmesan. The meal started out on a great note when our server brought out some of their warm rosemary focaccia along with a dish of housemade giardiniera, a mixture of sweet and spicy pickled vegetables which is super popular here in Chicago, usually used as a condiment on Italian beef sandwiches. 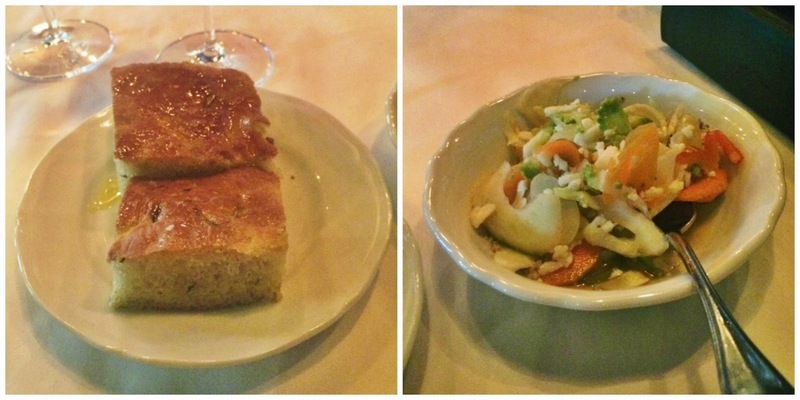 It was really flavorful and such a great little hint at the kind of classic meets modern meal we had in store for us. Alex and I arrived hungry and decided to start the meal by sharing a few small plates. First up, the porcini bruschetta. This bruschetta was created with thick slices of bread baked fresh down the street from Formento's by the bakers behind the Publican, toasted up with a great crunchy sesame seed crust. It was topped with stracciatella, a rich soft cheese that's very similar to fresh mozzarella, hearty chunks of porcini mushrooms, and a drizzle of 8-year aged balsamic vinegar. For being a meatless dish, these bruschetta were rich and hearty with meaty mushrooms and a generous helping of cheese. The touch of sweetness from the balsamic was perfect. We also split the classic Caesar salad. Large romaine leaves are topped with oversized focaccia croutons, a few anchovies, shaved Parmesan, and a light-- not creamy-- classic Caesar vinaigrette. This reminded me very much of the Caesar dressing that my Sicilian grandmother has always been famous for making along with her big pasta dinners. We are both pasta lovers, so I had a feeling we'd both be ordering off the Macaroni menu for our entrees. While Alex knew right away that he wanted to try Formento's take on bucatini carbonara, I was torn between 2 or 3 really solid pasta options. Ultimately though, I opted for the rigatoni vodka. I love a good vodka sauce and this version was really delicious and a little different-- with Calabrian chiles, onions, and some creamy mascarpone. I loved this rich and slightly spicy pasta and despite the large portion, I managed to clean my plate. One thing I knew we needed to order before even showing up at Formento's, which was then confirmed by our server was Nonna's meatballs. Apparently these meatballs are derived from the chef's real nonna's recipe and they became so popular as a part of the spaghetti and meatballs entree and also on the menu at Nonna's (Formento's casual sandwich spot next door), that they were added to the menu on their own as a side. These are the perfect companion to any pasta on the menu. The meatballs are really flavorful and tender and light-- likely because they've simmered in a thick tomato "gravy," as the nonnas call it. Whether you're ordering them with the spaghetti or as a side to share with the table, the meatballs are not to missed. We didn't have much room left, but were both in the mood for a little something sweet after our dinner. Alex and I decided to split a dessert and settled on Formento's chocolate cake. We were awfully surprised to see an enormous slice of cake appear in front of us-- so big that even between the two of us we could only eat half, so we took the rest home for breakfast! This cake was old fashioned simple, but really special: a few thin layers of moist chocolate cake were layered with a light sweet chocolate mousse and coated in a thick chocolate ganache. We really loved both the food and experience at Formento's. Our server was super friendly and helpful and the atmosphere was old school swanky, but not stuffy. I'd come back for some meatballs and chocolate cake anytime! And don't forget to make a reservation via Reserve with promo code LYCOXB for $20 off your bill! 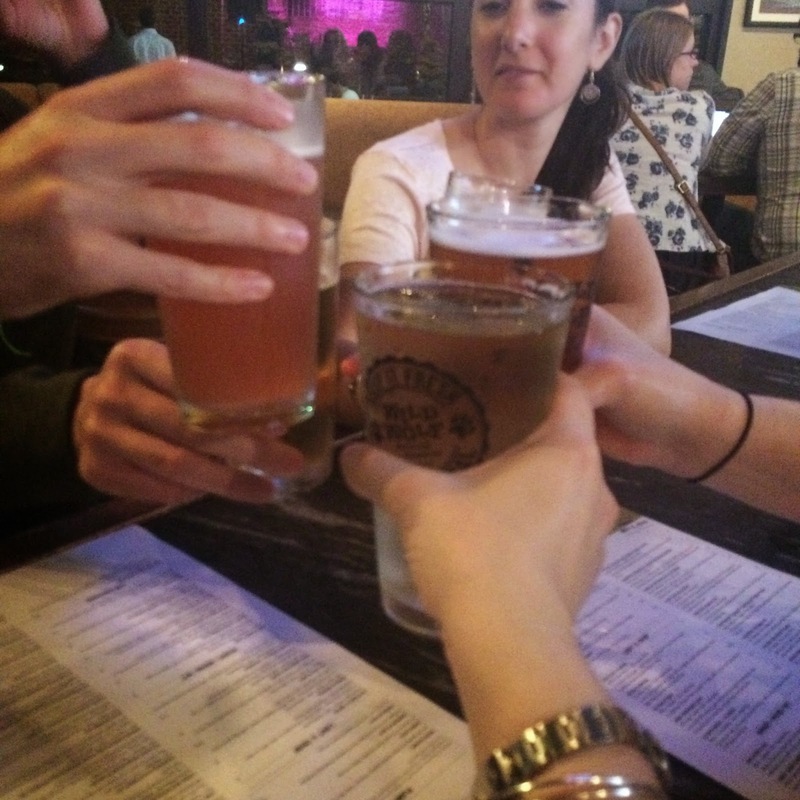 Editor's Note: I received compensation to try the Reserve app. The opinions expressed herein, as always, are my own. 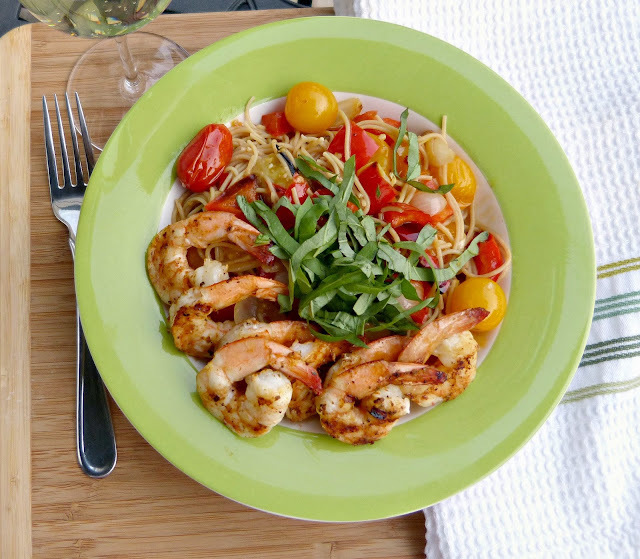 With Memorial Day behind us, I think it's about time to break out some warm weather-worthy recipes. 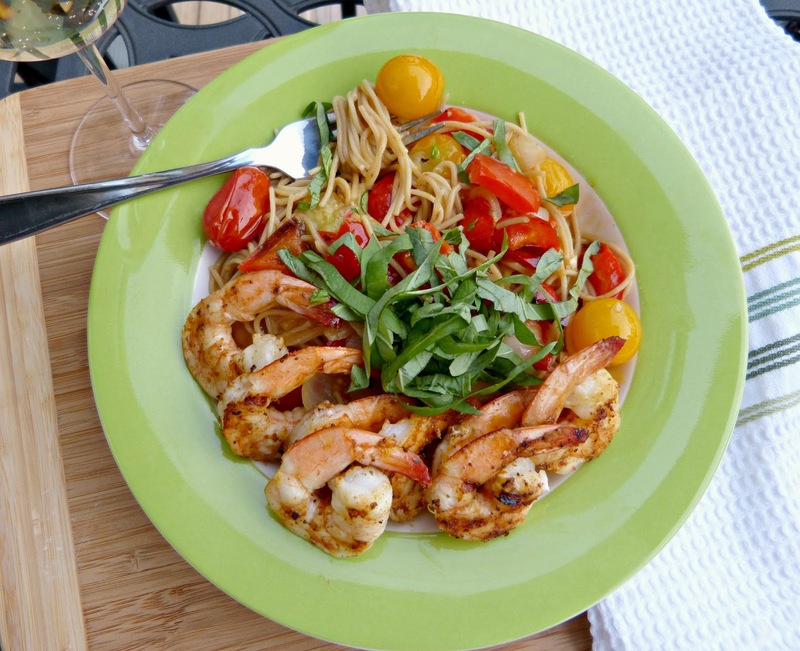 A grilled protein and salad is one of my dinner go to's in warm weather months, but keeping those meals tasty and interesting can be a challenge. 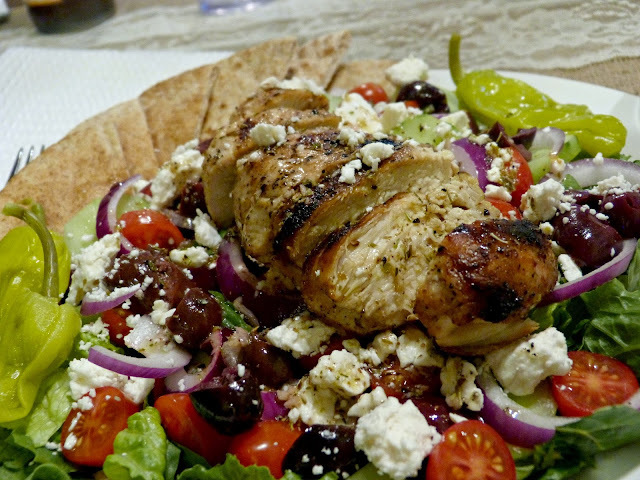 I love this Greek grilled chicken salad recipe because it's healthy and full of the traditional flavors you expect from a Greek salad. And the addition of the marinated and grilled chicken turns it into a complete meal-- plus the grilled chicken adds that great summer charred flavor to the mix. This chicken marinade has such great flavor that I like to double or triple the recipe and grill some extra chicken to have on hand for salads and sandwiches throughout the week too. The salad and dressing here is inspired by this little Greek American pizza place in my mom's Michigan hometown. Every time we visited our family there, there was inevitably one meal during the trip where we grabbed takeout pizza, breadsticks, and a ton of Greek salad from Gus's. 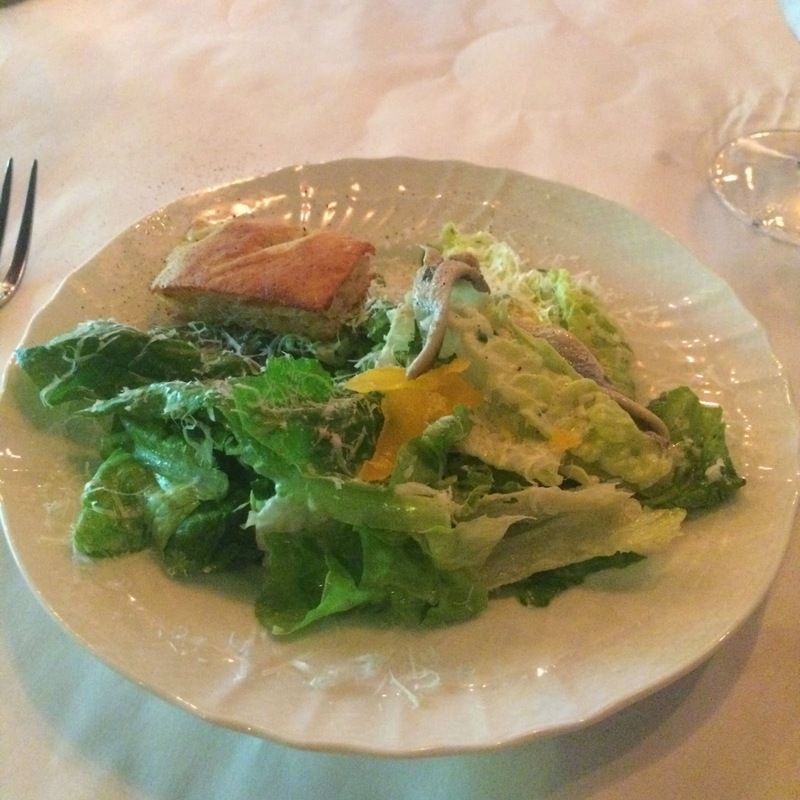 It was tradition and the salad was so simple, but so flavorful and delicious. A few ingredients from the original that I omitted here: pickled beets (because Alex hates them) and green peppers (because I do). The rest of the ingredients here work really well together though: Salty olives and feta, sweet tomatoes and onions, tangy peppers, and that fresh and herbaceous dressing. It's a winning combination! 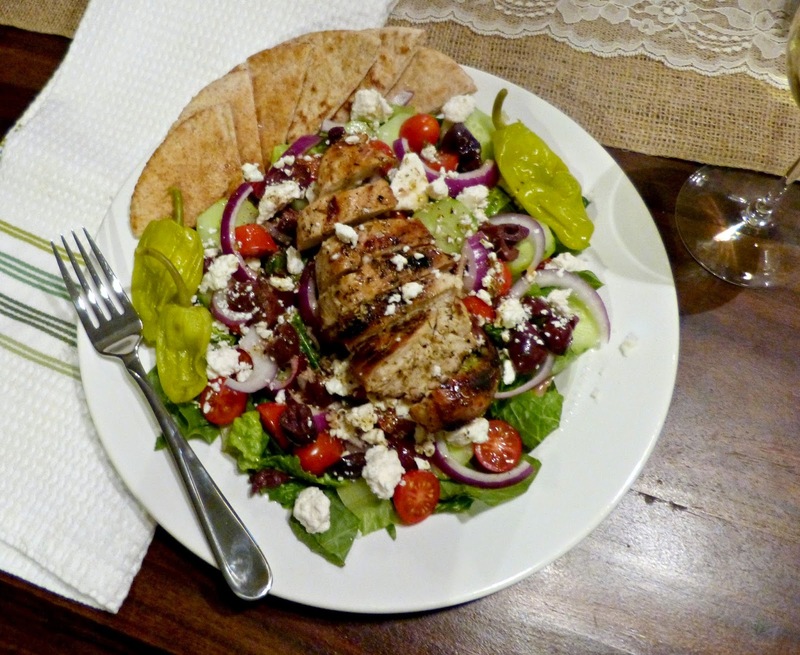 I toasted up a few multigrain pita points to serve on the side and make this a complete meal. But, if you know how to make Gus's breadsticks at home let me know! 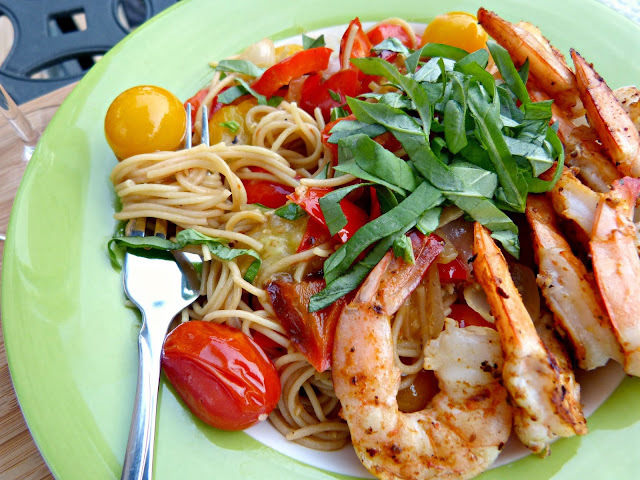 In a small bowl, whisk together red wine vinegar, lemon juice, oregano, parsley, olive oil, garlic, salt, and pepper. Pour over the chicken breasts in a shallow glass dish or a zip locking plastic bag. Cover the glass dish with plastic wrap or seal the bag, pushing out excess air. Refrigerate for at least 2 hours or up to 24 hours. When ready to grill, preheat the grill to medium-high heat and grill the chicken 5-6 minutes on each side or until cooked through and the juices run clear. Remove from grill and allow to sit for 5 minutes before cutting into 1-inch slices. For the dressing, whisk together olive oil and remaining ingredients through salt and pepper until fully combined. Refrigerate until ready to serve. Divide the romaine evenly on two dinner plates. Top with cucumber, tomatoes, olives, onions, and the sliced chicken. Pour on desired amount of dressing, sprinkle with feta, and garnish with pepperoncini. Don't you love when good meals happen completely by accident? That's how today's recipe came about... and the result was a tasty, healthy, and satisfying brunch (or brinner) that's also really simple! I was home on a Saturday with a random assortment of food in my kitchen and needed to eat something hearty before leaving for a long morning of appointments and errands. I scanned my fridge for my usual yogurt/fruit/granola breakfast combo and was missing 2 of the 3 main components. What I did find was a container of leftover spiralized sweet potato. I like to use my spiralizer on a Sunday to make a big batch of vegetable noodles to make lunches for the week. I love the sweet potatoes because they hold up really well to storage and microwaving, but I definitely overestimated how many I needed for a week of lunches, so I had tons leftover on this Saturday. Since they were already spiralized thin, the sweet potatoes were perfect for browning up like traditional hashbrowns because they cook so quickly. All they need is a little salt, pepper, a kick of hot sauce, and the addition of onions to saute up the perfect hash. I also love that they feel hearty like a potato but are super nutritious so paired with some protein rich eggs, this makes for a breakfast that's both healthy and hearty. And speaking of eggs, I recently rediscovered soft boiled eggs (at brunch at Boho) and am obsessed with them. My mom used to make these eggs for me as a kid and served them in little egg cups with toast sticks for dipping in the runny yolks. I always thought they were tough to make and sort of forgot about them in favor of poached eggs which are actually even more of a challenge to cook properly! 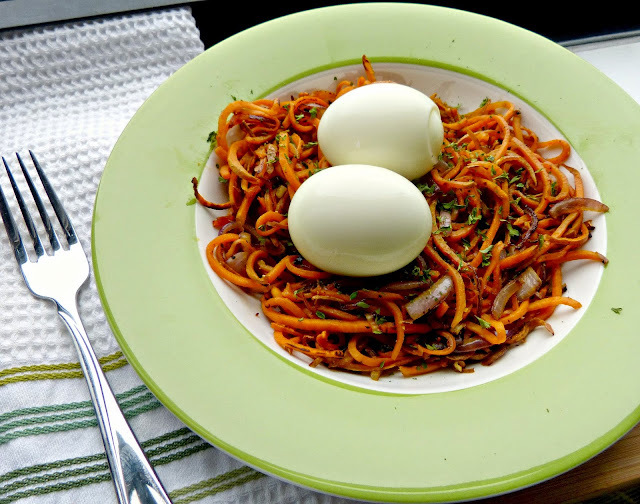 Poached or sunnyside up eggs would have worked great with the sweet potatoes as well, but I love the way the softboiled eggs look on this dish: like little white eggs in a sweet potato nest, but with a soft yolky center that's rich and delicious against the sweet and spicy sweet potatoes. It's a simple and perfect combination. And if you're making this dish for a crowd, the softboiled eggs are a great option because they can all finish cooking at the same time. 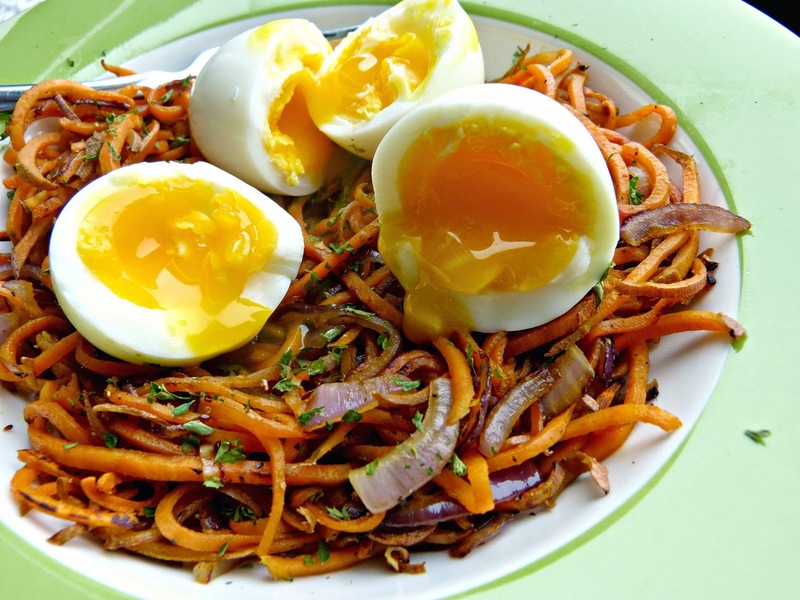 Using a box grater or a spiralizer, shred sweet potatoes into thin strips. I kept the skins on mine, but you can peel the sweet potato first if you'd like. 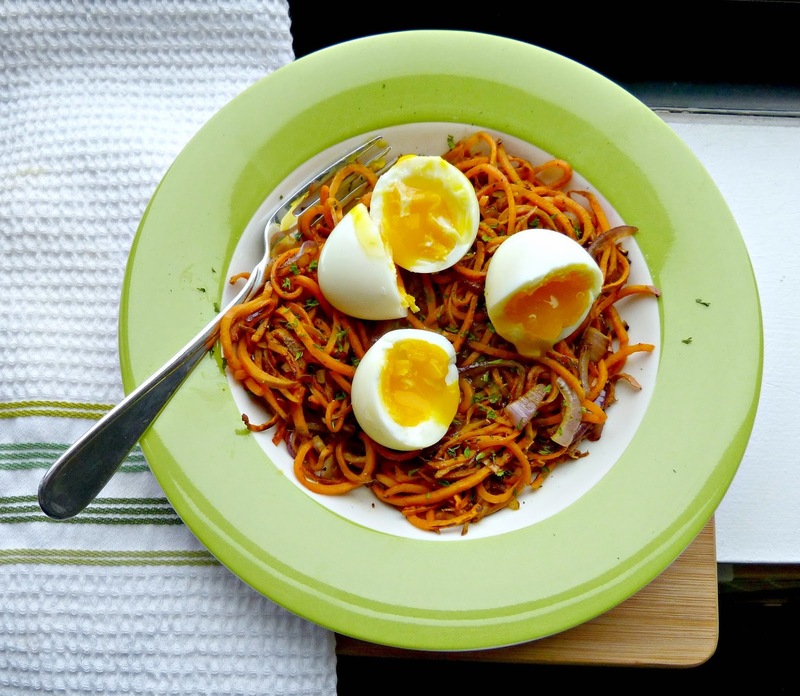 If you are spiralizing, check out this great tutorial from Inspiralized for pointers. Heat olive oil in a medium skillet over medium heat. Add onion and a pinch of salt and saute for about 5 minutes, until onions begin to soften. Raise heat to medium high and add shredded/spiralized sweet potatoes to the pan. Sprinkle with hot sauce. Saute for another 10-12 minutes until sweet potatoes are cooked through and slightly browned, stirring often. Meanwhile, gently place the eggs in a medium saucepan and add enough cold water to cover them completely plus another inch. Heat over medium high heat and allow water to come to a boil. Reduce the heat so that the water is gently simmering (to medium or medium low) and cook for 5 to 7 minutes. I prefer closer to 7 so that the whites are more set, though the yolk is a little less runny at this point as well. Gently remove from water with a slotted spoon and transfer to a colander. Run under cold water for 1 minute. Using a knife or your kitchen counter, gently crack each egg's shell, You should be able to easily peel the entire shell off at this point, being careful as the egg is not completely set inside. Plate the warm sweet potato and onion mixture in two bowls, sprinkle with parsley, and top each with two eggs. Serve immediately. I recently joined Influenster and was selected to receive one of their awesome VoxBoxes! In case you haven't heard of it, Influenster is a community of trendsetters, social media hotshots, and educated consumers who live to give opinions of products and experiences. Today I wanted to tell you about the products that I got to test out in my complimentary Blosson VoxBox-- there were a few that I really loved! Beanitos - One of my favorite items in this VoxBox was the samples of Beanitos black bean chips. 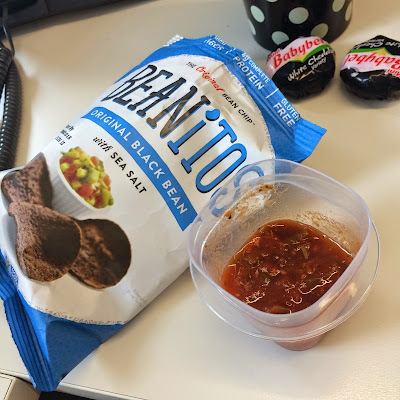 These chips are made from black beans and no corn or wheat, so they are a healthy snack full of good fiber and protein. I loved the classic sea salt flavor paired with some good salsa. And the Chipotle BBQ flavor is spicy and delicious on its own! Hair Food Root Cleansing Shampoo - I LOVE this shampoo! It has a great fruity, but not overpowering scent and my hair felt really clean after using it. This shampoo is filled with nutrients from natural ingredients like strawberry and ginger and like a juice cleanse for your body, this shampoo strips residue from your hair and deep cleans down to the roots. NYC New York City Color CityProof 24-Hr Shadow - I'm a creature of habit with my makeup and wear the same eyeshadow every day (and have for years), so I was really skeptical about trying this one. I was pleasantly surprised! This eyeshadow is comes in a chubby pencil for easy application and lasted throughout the workday-- it doesn't get stuck in my creases or end up smudging under my eyes throughout the day like other eyeshadows often do. Bear Naked Granola - I'm already a Bear Naked Granola fan and I eat the Fruit & Nut variety for breakfast pretty much every weekday. They have so many different flavors that I want to try though, so I was excited to receive samples of two new-to-me flavors! While I loved the sweet and salty Sea Salt Caramel Apple granola with its big candy-like chunks or caramel and apples, I wasn't a big fan of the Coconut Almond Curry... the curry flavor was a bit too overpowering for me. Sally Hansen Airbrush Legs - Airbrush Legs is the perfect lotion to use before a night out! I roadtested it at a wedding recently (the first time I've bared my legs in a while!) and liked the results a lot. It's lightweight and works almost like a BB cream for your legs-- adding a slight tint and covering any imperfections. It makes bare skin look great and comes in 5 shades to work with any skin tone! Nasoya Pasta Zero Noodles - I have heard so much buzz about these Japanese shirataki noodles and have been dying to try them. What could be better than pasta with 15 calories and only 4 grams of carbs!? Sadly, I just didn't like them... the flavor was fine and pretty mild, but the chewy consistency was something that I just couldn't get behind. I ended up eating the pork stir-fry that I made to go with them and left the noodles... my husband proceeded to eat my leftover noodles though, so I guess he didn't mind the consistency that much! Australian Gold Lotion Sunscreen Broad Spectrum SPF 30 - Unfortunately, it's been awfully chilly here in Chicago so I haven't had much of an opportunity to test out this sunscreen. It's SPF 30 and full of antioxidants and Vitamin C though, so it will definitely be in my beach bag this summer! Editor's Note: I received these products complimentary from Influenster for testing purposes. Warm weather is allegedly on its way to Chicago... though you wouldn't know that from the frigid temps we have experienced this week! We have seen a handful of 70-80-degree days though and those always get me anxious for summer in the city. And that warm weather also puts me in a better headspace about exercising and eating well. It's staying light out until almost 8 PM so Clery and I have been taking some nice long neighborhood walks at night. He loves to pick Alex up at the train and I love logging a mile or two and having a healthy way to pass the time after work (read: something to do besides snack and watch TV). I have also been eating more mindfully too-- plenty of fruits and veggies, healthy snacks, and lots of fresh food out on the grill! Here's a quick snapshot of what I'm eating now... all healthier choices and all delicious! Clery was desperate for a JonnyPop! JonnyPops are the perfect sweet treat for this alleged summer weather that's coming our way: cold and refreshing and not nearly as harmful to your bikini body as a bowl of ice cream (though I totally condone those in moderation, as well). But when you need a little something sweet after dinner at home these are the perfect treat to keep on hand in your freezer for such cravings. Made here in the Midwest, These frozen fruit and cream pops are made with a few simple and natural ingredients like real fruit, cream, cane sugar, and a little salt. My Jewel-Osco grocery store carries their Strawberry & Cream and Raspberry Blueberry & Cream varieties and I have personally sampled both. I love that they taste like actual fruit and aren't super sugary like your standard frozen fruit bar. And the subtle creaminess makes them feel a little more decadent even though they're significantly lower in fat and calories than regular ice cream bars. And if you happen to locate the Pineapple Coconut or Coffee Chocolate varieties at your grocery store, please notify me immediately. 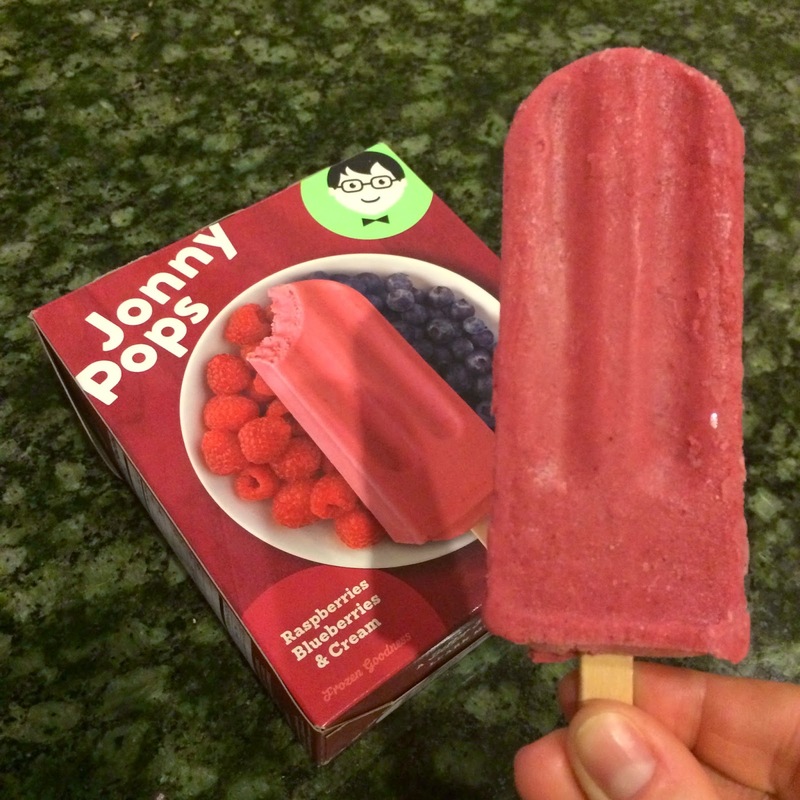 There is also a really touching backstory behind the creation of JonnyPops. Have a read here. Popcorn is one of the best snack foods out there, in my opinion. It's a whole grain, light and filling, and can be flavored in so many different ways. The only downside is that I feel the need to floss immediately after snacking on popcorn... Does this irritate anyone else as much as it does me? My kernel issues aside, I love some popcorn and we have a new favorite in our house: KettlePop. KettlePop kettle corn is delightfully sweet and salty and its handmade I old fashioned fire-burning kettles a batch at a time. It is USDA certified organic, non-GMO, and is made from 4 natural ingredients (love that! ): popcorn, soybean oil, sugar, and sea salt. It's so simple, but so tasty with a subtle salted caramel-like flavor. And it's a snack that Alex and I could both agree upon, which rarely happens. Try it for yourself at your local Whole Foods or Costco! On the couple of warm nights that we have had lately-- and on a few chilly ones where Alex bundled up-- we've been putting our grill to use. 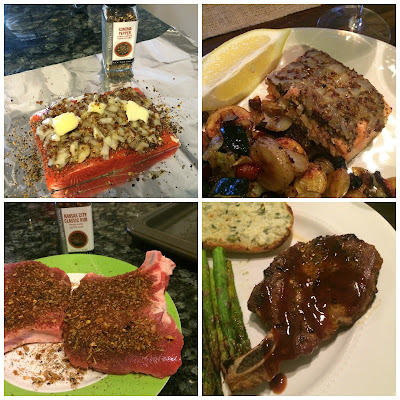 I like to keep dinner light and simple when we're grilling and have been using Urban Accents Spice Blends a lot lately. They are available in a variety of different flavor combinations and are a perfect way to pack tons of flavor into meat before you put it on the grill. I combined the Sonoma Pepper (a citrusy pepper blend) with a little whole grain mustard, onions, and a bit of butter, spread it on a few salmon filets, wrapped them in foil, and grilled. 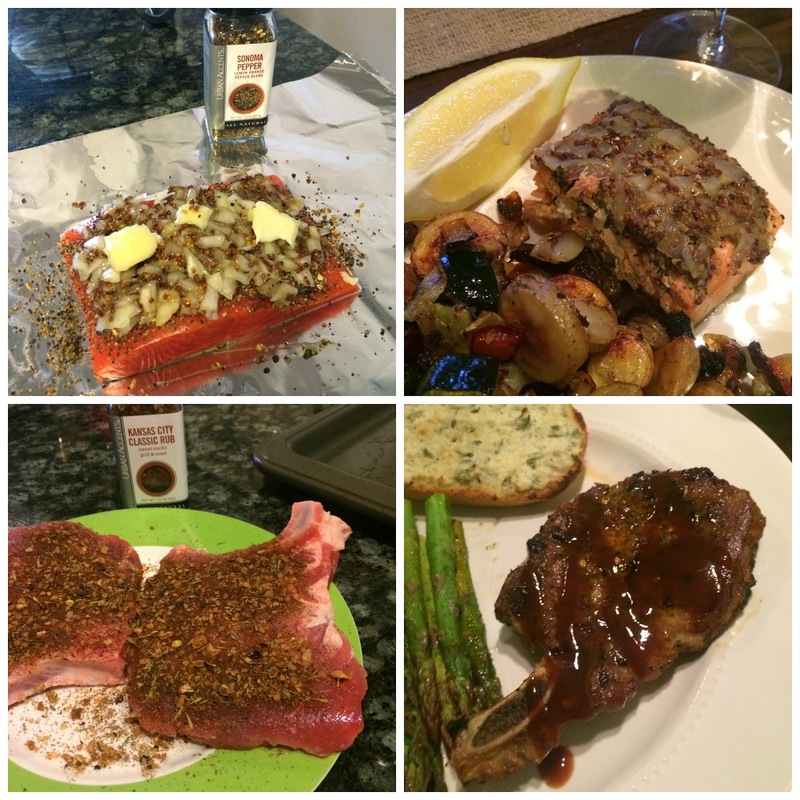 The salmon was super tender and had such a tasty peppery punch! And we have been rubbing their Kansas City Classic Rub on pork chops before grilling, which couldn't be easier. Since the rub has a great barbecue spice flavor, we just drizzle a little barbecue sauce over the top after grilling and serve. If you're downtown and looking for a healthy lunch fix, you're in luck-- Just Salad has recently opened their first Chicago location in the Loop on Jackson Blvd. Already a lunchtime institution in New York, this is an ideal spot for salad lovers. The menu is extensive, so you'll rarely get bored between their seasonal, standard, and create-your-own options. And best yet, everything is assembled and chopped fresh for you when you order. This is also a great lunch option if you're health conscious-- each store employs a fitness and nutrition ambassador to help communicate the store's healthy lifestyle mission to its patrons. And while their salads aren't light on flavor or ingredients, they are on calories: Even the most decadent salad on the menu clocks in at under 500 calories! There were several salads on the menu that caught my eye, but I ultimately decided to give their seasonal menu a go and ordered the Cajun El Paso Grill salad. It was a hearty and slightly spicy salad of romaine and spinach with avocado, spicy pepper jack cheese, tomatoes, black bean and corn salsa, crunchy onions, sustainable cajun-spiced shrimp, all chopped with a zest chipotle vinaigrette. 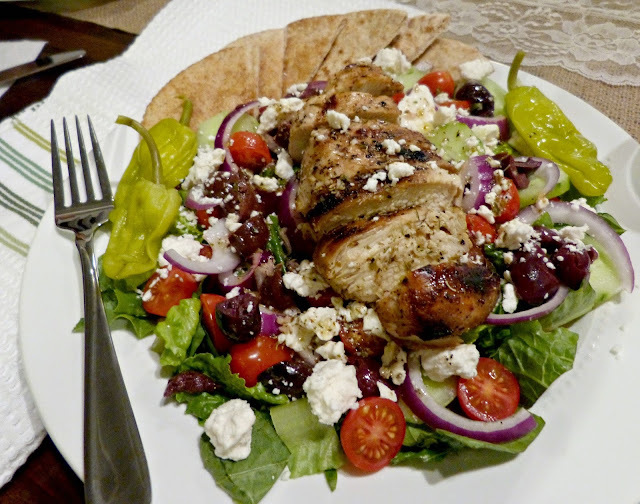 It was really flavorful and I love a salad that is chock full of ingredients-- it keeps it interesting! Just Salads serves a slice of toasty bread with each of their salads and in addition to salads, you can turn a salad into a wrap, try one of their soups (like organic cream of broccoli! ), or try one of their many smoothies too. Editor's Note: Complimentary samples were provided in order to facilitate this post. The opinions expressed herein, as always, are my own. I recently traveled to Charlottesville, Virginia for the wedding of some very good friends of ours. It's a city I have always wanted to visit because of my background in architecture (Thomas Jefferson's design of the University of Virginia campus is kind of a big deal to architects), but I had no idea just how charming I would find the city to be... After visiting, it is totally an area where I could have seen myself as a college student in back in the day. I haven't spent much time in this part of the country and I really fell in love with it's historic east coast feel with a tinge of southern charm. It was like Providence meets Charleston. And while it's a smaller city, I was pretty impressed with the food scene! There weren't a ton of options, but that was almost better because it was easier to sort through recommendations (I loved the Charlottesville 29's list and this best of list from C-Ville.com) and even easier to knock out a few of the top ones in the short time we were there. So, if you're planning a journey to Virginia and you find yourself in Charlottesville, here are just a few of the places that we tried... and I would recommend them all! The BBQ Exchange kept popping up on every Charlottesville restaurant list that I found. I was on the fence about venturing out of the city (it's a 30-40 minute drive from Charlottesville), but when Alex and I found ourselves in town before hotel check-in and a few hours ahead of our friends we decided that was the perfect time to venture into Gordonsville for 'the best' barbecue. Friends, it was worth the trip! 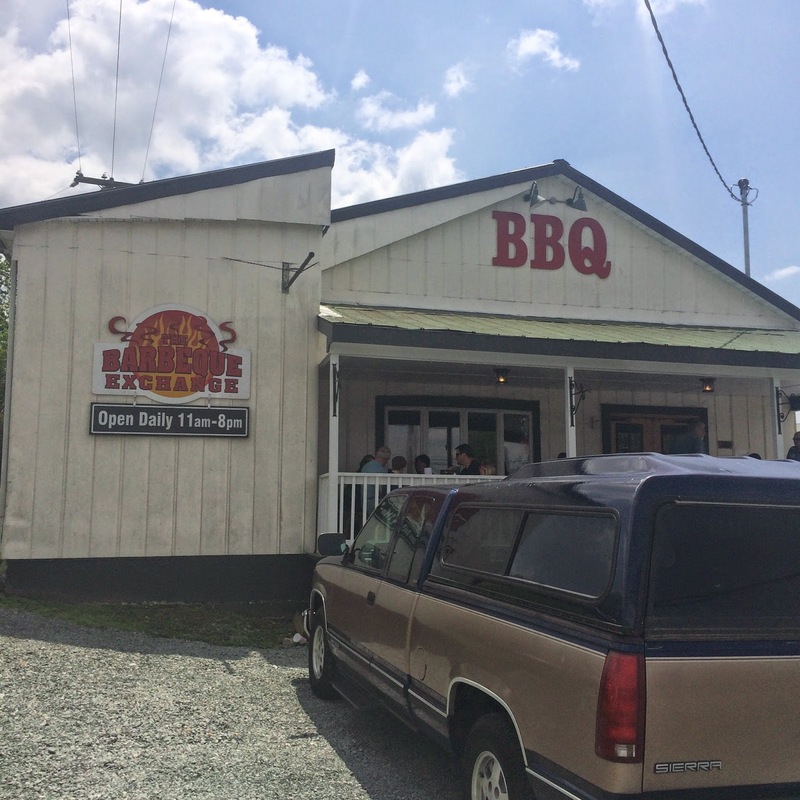 This place is a no frills country barbecue joint with smokers in the backyard, but it's run by an accomplished chef with a very impressive background. It's more of a fast casual style restaurant and it's clearly popular among tourists and locals alike-- it was bustling on the Friday afternoon that we stopped in. There were tons of menu options and it was difficult to choose, but luckily the woman in line in front of us was ordering a takeout order for an army of people so we gained a few extra minutes. I decided on (what else?) my old stand-by: Pulled pork. I opted for the platter instead of a sandwich because I saw the cornbread come out and knew that I had to have a slice of that with my meal. The sticky sweet moist cornbread did not disappoint and I kept picking at it well after I felt full! The pork was fall apart tender with a great smoky flavor. And I topped it with their Colonel Bacon BBQ sauce. Apparently this is Virginia-style barbecue sauce with rich flavors of bacon and mustard and an almost orange hue. I didn't know Virginia had a sauce style, but I like it! 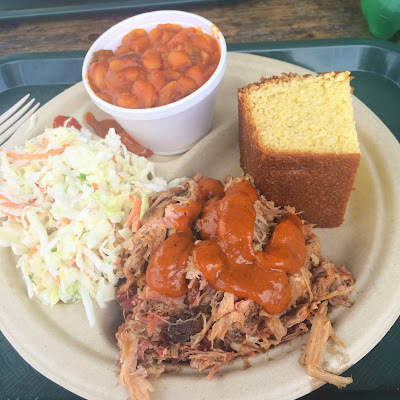 I had my pork with a side of their classic coleslaw, which was dressed perfectly (not to wet and not too creamy) and the baked beans, which must have been simmered with that same Colonel Bacon BBQ sauce because they had a very similar flavor. The beans also had big chunks of celery and barbecue meat in them, which added some great texture. Alex opted for a chopped brisket sandwich, which packed a ton of beef on to a soft roll and he topped it with their Hog Fire sauce, which was the spiciest of the sauces at each table. For sides, he chose the crisp spicy coleslaw and the super rich macaroni and cheese. I snagged a bit of the mac and cheese, which was creamy and delicious. We left full and happy and completely understanding the hype about this place. Definitely worth the trip out to Gordonsville! On Friday afternoon Alex and I wandered the downtown mall shopping area for a bit and decided we needed a little something sweet after our barbecue lunch. We stopped in at Chaps, an adorable old fashioned ice cream parlor with the sweetest staff ever. In addition to ice cream, they also serve traditional diner-style food and fresh baked donuts. Yum! I opted for a mocha chip milkshake, which had a rich mocha flavor and tons of chocolate chips. Alex went for a waffle cone with birthday cake ice cream. It was rich and sweet and studded with rainbow confetti sprinkles. This was the perfect stop to make on that hot afternoon! A few of our friends arrived in Charlottesville in time for dinner, so we ventured down Main Street to the adorable Three Penny Cafe for dinner. Alex and I had spotted it earlier and fell in love with the look of the place: A smallish restaurant in a converted service station with a sizable patio in front. We dined out on the patio that night, which was a welcome change for those of us venturing to Virginia from the north! Three Penny's menu is described as "casual gourmet," which seemed pretty fitting. The menu was a combination of approachable American dishes with an upscale flair. Two of the girls at the table shared the mussels in mustard vermouth cream sauce with saffron, bacon and nutmeg and had great things to say about that dish. I ordered the crab pizza for my entree. A multigrain crust was topped with a spread of ricotta, crab meat, salty pancetta, a touch of bright lemon zest, and then baked and finished with fresh peppery arugula. It was a great flavor combination and the perfect balance of brightness and richness. I swapped a few slices of this pizza for some of Julie's Spanish pizza which was topped with a delicious combination of manchego, fig, and Serrano ham. I also spotted Brussels sprouts on the side dish menu and ordered some of those as well. They were sauteed in white wine and butter along with red onion and bacon for that savory, sweet, and sour flavor combination that you want from any Brussels sprout dish. I would also mention that the prices here were super reasonable-- that's possibly because I'm a big city dweller used to paying $14 for a mediocre glass of wine-- but we had a great meal and cocktails here and didn't come close to breaking the bank! And speaking of drinks... World of Beer was just down Main Street from Three Penny Cafe and it was the perfect spot for us to kick back with a drink or two and catch up. I wasn't aware that World of Beer was a franchise, but we were really impressed when we walked in and saw that they serve hundreds of different beers-- including a lot of great local brews like the Potter's Craft Dry Cider from Virginia that I sipped on that night. World of Beer also had a huge outdoor patio with a few firepits and loungey furniture, perfect for chatting and for listening to the live band that was performing there that night. We got a little hungry later into the evening and ended up ordering a few bar snacks. The giant German Pretzel was huge and the perfect accompaniment for our beers. The Tavern Taters (a.k.a. Tot-chos) were everything bar food should be: cheesy, spicy, and a little over the top. This plate of crispy tater tots arrived topped with tons of beer cheese, and bacon, jalapenos, sour cream, and scallions. When I was doing research on Charlottesville restaurants I was surprised to see a college bagel shop show up on pretty much every single list. But I can't ignore a good review-- or four of them-- so on Saturday morning we stopped at one of Bodo's three locations for a quick breakfast before exploring the UVA campus. This location was right at the UVA "Corner" and had ample outdoor seating that we took advantage of while we enjoyed our bagels. Bodo's bakes fresh bagels all day long, so they don't even toast them for you because they're always right out of the oven. I went with a sesame bagel with plain cream cheese and it was enormous, chewy, and as they promised: hot out of the oven. This is a great spot for a quick breakfast on the go and since they offer 3 locations, there's likely one near wherever you're staying in Charlottesville. Ace Biscuit & Barbecue is another Charlottesville food gem that kept surfacing in many of the lists and posts that I looked at in my research. I had it on my list of potential spots to visit, but after our friends Tim and Danielle had brunch there on Saturday and raved about it I decided we needed to make a stop too. Alex and I made a quick detour here on Sunday morning for a big breakfast on our way to the airport. Ace is small spot with just a few seats inside and some long picnic tables outside if you're dining in. They're open all day on weekdays and for breakfast and lunch on the weekends.You order at the counter with the cool hipster guys that work there and the food comes out hot and fast. And it's the definition of southern comfort. Ace has a few pre-designed sandwiches on the menu, but they also give you the option to build your own with several different breakfast meats, cheeses, and eggs any style. They're all built on Ace's fresh homemade biscuits that are dense and moist and buttery, but not greasy. They are delicious! I decided to create my own sandwich and my biscuit came topped with bacon, fried green tomatoes (because we were in the south, after all), smoked pimiento cheese (again, we were in the south), and a fried egg over medium. Though the combination was my creation, I will give Ace props for a really good breakfast sandwich. The tomatoes were nice and crispy and the pimiento cheese tasted fresh and homemade and had a great smoky flavor. And their housemade biscuits made the perfect base for this breakfast sandwich of champions. Always one to go rogue with breakfast, Alex opted to order something not at all breakfast-y for his meal. He ordered the pork spare rib sandwich, which consisted of a toasty bun topped with a huge amount of tender shredded rib meat pulled right off the bone. A knife and fork sandwich, for sure. On the side, we shared an order of the hashbrowns. I'm not sure how the cook these... maybe in bacon grease? But they are salty and flavorful and just the right amount of greasy. They're so so good. No ketchup necessary-- they are tasty just the way they are! It was a great trip and such a lovely little city. We didn't get nearly as much time here as I would have liked! Restaurants on my list for next time: Albemerle Baking Company, Orzo Kitchen & Wine Bar, C&O, Mas, and The Whiskey Jar. Have you been to Charlottesville? What are your favorite spots to visit there? 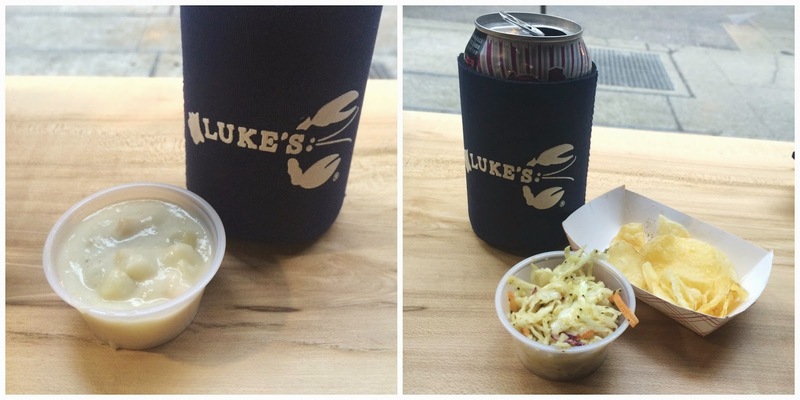 Great news for those of you working in the Loop: Luke's Lobster opens today on LaSalle! In case you aren't familiar, Luke's Lobster is a popular fast casual 'lobster shack' with several New York City area locations that's rapidly expanding to other major cities like Philadelphia, Washington DC, and now Chicago. The menu is small, but everything is crafted with traceable seafood and 100% of the lobster is sourced from Luke's home state of Maine. That means every item on the menu tastes the way that it should: Fresh. Alex and I had the opportunity to stop into Luke's Lobster last week for a little grand opening preview party they were hosting. The space is charming with lots of nautical touches and framed photos from the Maine coastline. While we were there we did our due diligence and sampled several menu items so that we could report back to you. And I'm happy to say that while there are a few other good fast casual spots for lobster in the city, this one is probably the best! 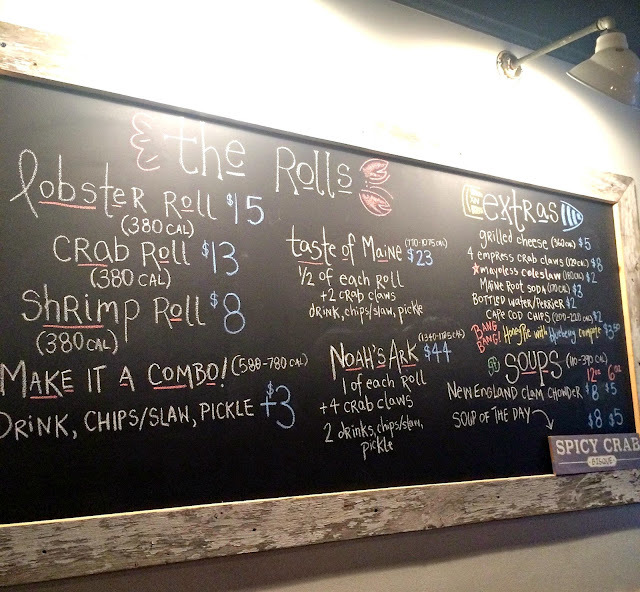 Luke's Lobster serves up three different kinds of seafood rolls. 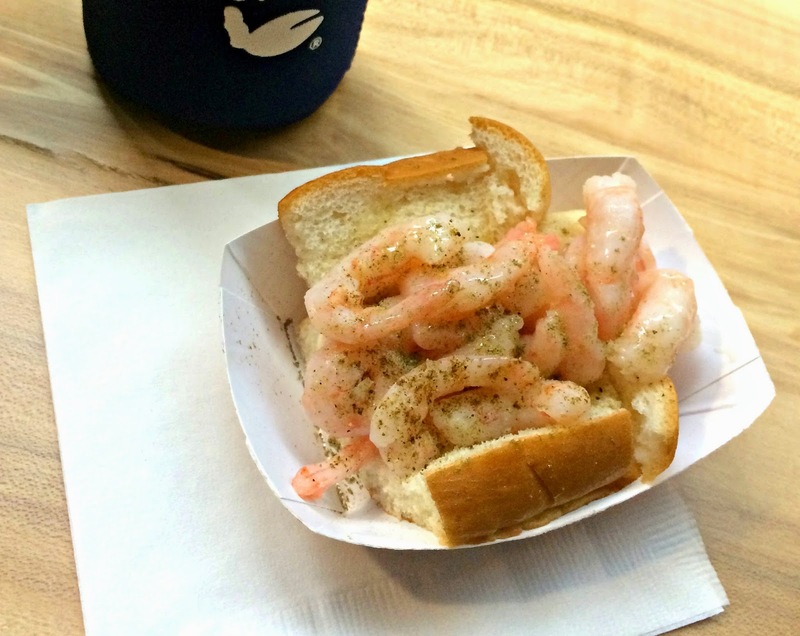 The first we tried was-- of course--the lobster roll. 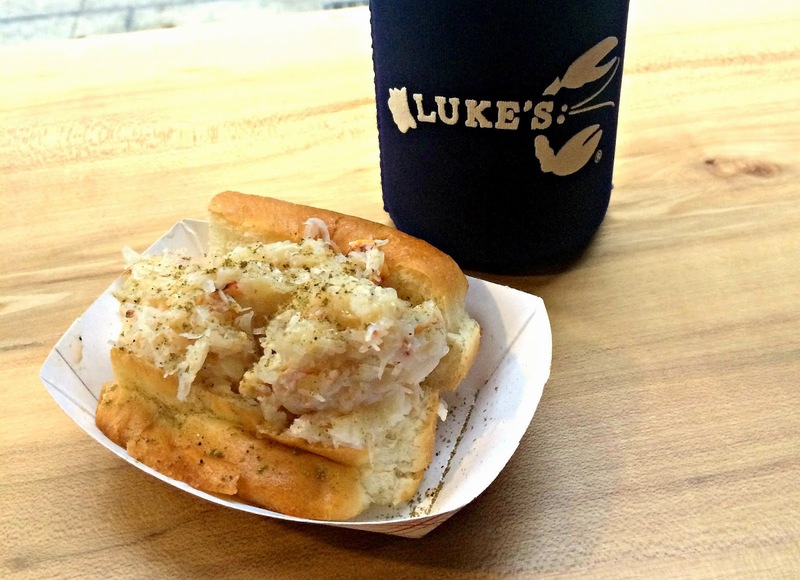 Luke's only uses huge chunks of chilled claw meat in their lobster rolls and the preparation is deliciously simple: a swipe of mayonnaise in a toasty buttered roll filled with all that lobster and topped with lemon butter and a sprinkle of their house seasoning (which definitely includes some dry thyme). Alex and I agreed that the big pieces of lobster were delicious and we loved that this sandwich wasn't drowning in mayo... you could really taste the lobster. Next up: the crab roll. This sandwich was prepared in very much the same style as the lobster roll-- with a bit of mayo, a generous amount of lemon butter, and the special seasoning. There was a huge portion of shredded and lump crab meat in this roll. And the sweet chilled crab is a great alternative if you're not feeling the lobster. The third and final roll that I tried (Alex refrained because of his allergies) was the shrimp roll. Luke's employs the same preparation on this roll as the other two and again, a generous portion of chilled shrimp was piled into this roll. They use smaller shrimp in this roll, which makes it easier to eat and I added a little sriracha to mine (which they have at every table at Luke's), which added some nice heat to the sweet buttery shrimp. Though the menu is small, there are a few other quintessential New England seafood shack staples on the menu too. Alex and I both enjoyed the traditional New England clam chowder filled with sizable pieces of clam and potato. I also loved that it was creamy, but not too thick as many chowders can be. I also really liked their coleslaw, which was mayo free! It had a great mustard and vinegar flavor with a touch of sweetness. And don't forget the Cape Cod salt & vinegar chips! Last but not least, we got a little preview of dessert... and it's a good one! 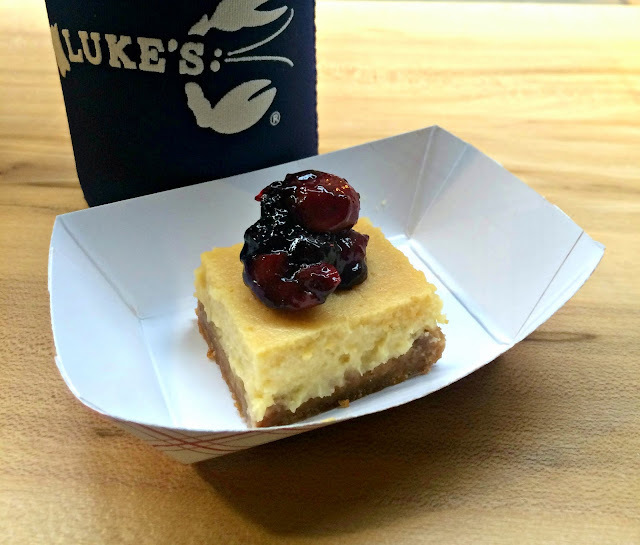 Luke's Lobster has enlisted popular local bakery Bang Bang Pie Shop for a special honey pie with blueberry compote (because Maine) that's unique the menu at their Chicago location. Alex and I both loved this pie! I'm not exactly sure what honey pie is, but this was very much like a creamy honey-flavored cheesecake with a buttery graham cracker crust and a delicious tart and sweet blueberry topping. 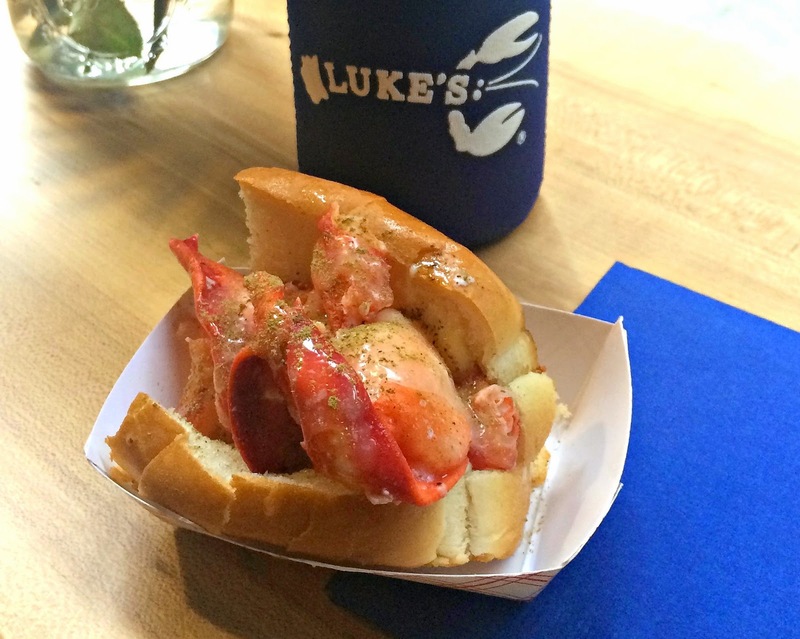 Luke's Lobster opens today on LaSalle Street just south of Randolph. They are open for lunch and dinner-- and great news: they'll be open on weekends too! Editor's Note: Our meal at Luke's Lobster was complimentary, however the opinions expressed here are my own. My love affair with Dinosaur Bar-B-Que began long before the dinner Alex and I recently had at their new Chicago location. It actually began more than 10 (10?!) years ago when I was a college student in Syracuse, NY. Word got around quickly in the dorms that there was a biker bar downtown serving really good barbecue. It was too far from campus for me to walk to, so I made a note to take my parents there during their next visit. Well, I did and I'm pretty sure my dad thought I was crazy when we pulled up to this hole-in-the-wall place where bikers on Harleys were congregating outside... I was even a bit skeptical. Our doubts were quickly silenced once we sat down to eat though and the Dinosaur immediately became a family favorite for future visits. I haven't eaten at Dinosaur since my graduation weekend-- not even during a visit to Syracuse several years ago (they opened late on Sundays) or on various trips to New York City (they have a newer location in Harlem, but I'm rarely uptown where that would be convenient). So when I got wind of a new location coming to Chicago's Lincoln Park neighborhood over a year ago, I could barely contain my nostalgic excitement! Alex and I visited the first weekend that Dinosaur Bar-B-Que was open and I immediately felt at home spotting 3 Syracuse ball caps and 2 former classmates at neighboring tables. The Chicago Dinosaur is a little more modern that the original in Syracuse, but still has that great rough around the edges feel-- this one is just a little more rustic industrial than biker chic. And a LOT bigger with a fabulous beer garden for enjoying summertime barbecue. Alex and I started the meal by sharing the Swag Sampler Plate, which was the perfect way for us to sample a few of the smaller plates on Dinosaur's menu. I loved their crisp and not soggy fried green tomatoes served with a slightly spicy cayenne buttermilk dressing. And Alex and I agreed that the tender saucy rib hacks were the perfect way to sample the ribs without ordering a huge rack. I left the Cajun spiced deviled eggs and smoked chicken wings to Alex and he polished them off. He loves a spicy deviled egg and though normally a wing purist, really enjoyed Dinosaur's more barbecue-centric approach: spice rubbed, pit-smoked, and tossed in their super spicy Devil's Duel sauce. There are a lot of great options on the menu at Dinosaur, but I went with my old tried and true order: The Memphis BBQ Pork Sandwich. 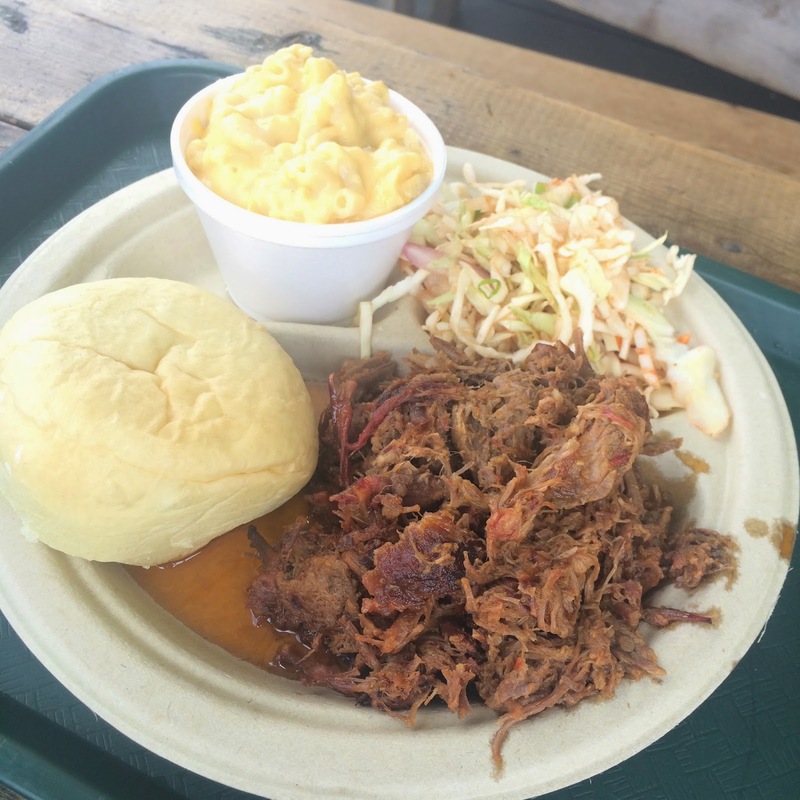 A bun was piled high with tender pulled pork and topped with their traditional coleslaw. I topped mine with their classic Sensuous Slathering Sauce, a barbecue sauce that's the perfect blend of sweet and spicy. And for sides, I went with a few more of my favorites: BBQ beans in a thick barbecue sauce with chunks of peppers and pork and and mac and cheese. The mac and cheese at Dinosaur is thick and creamy with a slightly crunchy top and a dusting of barbecue rub. I could eat a bowl of that for dinner and be happy! His first time at Dinosaur, Alex was a bit more overwhelmed by the menu. 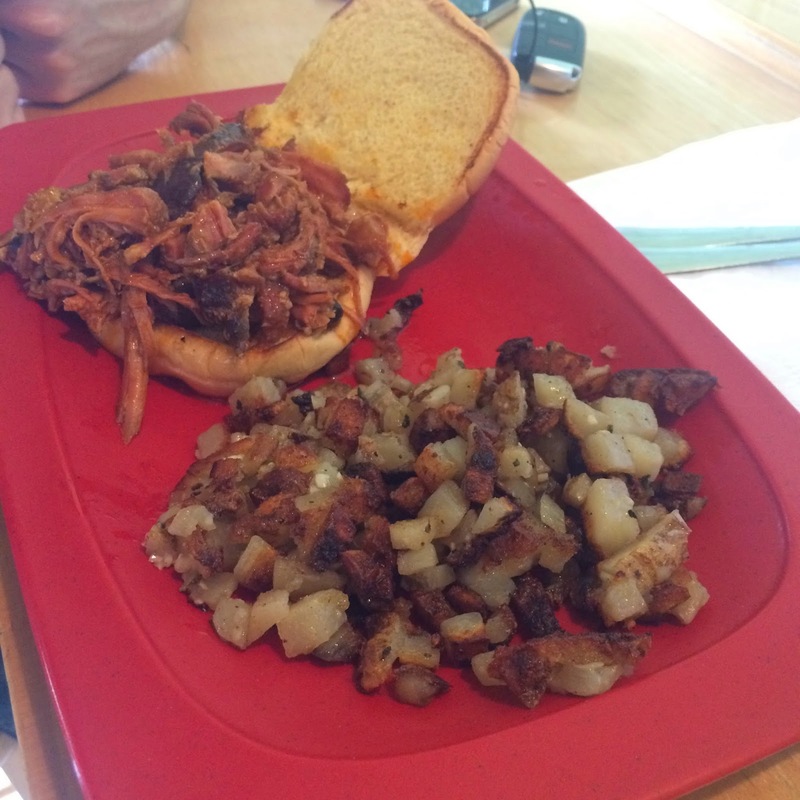 Our server helped him settle on the Pork-Sket sandwich, which was featured on Man Vs. Food when Adam Richman visited Dinosaur Bar-B-Que in Syracuse. This was a serious sandwich and it definitely required a knife and fork! It started with sliced bbq brisket topped with melted cheddar cheese and jalapenos followed by a ton of pulled pork, coleslaw, horseradish mayo, and a little Devil's Duel (added by Alex). He opted for more coleslaw on the side along with an order of Dinosaur's bbq fried rice. I was really intrigued by this rice and stole a few bites from his plate. It was a very traditional fried rice studded with bbq meat.. and it was surprisingly tasty! Although we could barely eat another bite, we couldn't resist dessert. So we took home a slice each of their key lime and peanut butter pies. They aren't pictured here, but they were really delicious and there was not a bite left once we were done. Welcome to the Windy City, Dinosaur Bar-B-Que! We can't wait to return.